In 1959, The Lao Dong Party’s (Communist Party) Central Committee decided to increase support to the communist insurgency in South Vietnam. On the occasion of Ho Chi Minh’s birthday on May 19, 1959, Major General Nguyen Van Vinh instructed to establish the 559th Transportation Group, under the command of Major Vo Bam. Its objective was to open a supply route began in the North, running throughout the country, and ended at the South of Vietnam. Using ancient footpaths that connected North and South Vietnam for centuries, Vo Bam began to construct necessary staging areas, depots and command posts along the roads. In August 1959, the first supplies from the North containing 20 boxes of rifles and ammunition were delivered to Viet Cong insurgents in Thua Thien Hue. 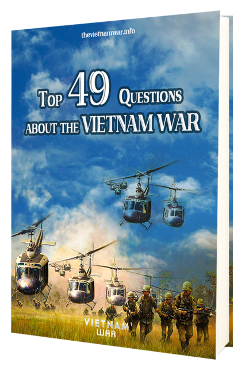 By the end of the year, about 1,800 men had infiltrated into South Vietnam by using the trail. By early 1960s, Hanoi continued to expand the trail. The need for secrecy compelled North Vietnamese to develop a new route along the western side of Truong Son Range in Laos’ territory. Training centres were also established at Xuan Mai and Son Loc to instruct soldiers how to camouflage while moving along the roads. Bicycles was introduced and replaced porters on foot, with this change, transport soldiers can carry three or four times the load and moved at 1.5 times the speed. At the end of 1963, about 5,000 troops plus an engineering regiment were assigned to maintain the trail, which now stretched for more than 600 miles of well hidden roads. In 1965, Hanoi conducted a massive effort to improve the trail. Engineers widened footpaths into flat roads, strengthen bridges was capable of trucks movement. By using truck convoys moved during nights, Hanoi could increase a significant amount of men and material supplies to South Vietnam. During the dry season of 1965, the U.S. estimated that more than 90 tons of all supplies were transferred to the Viet Cong per day. 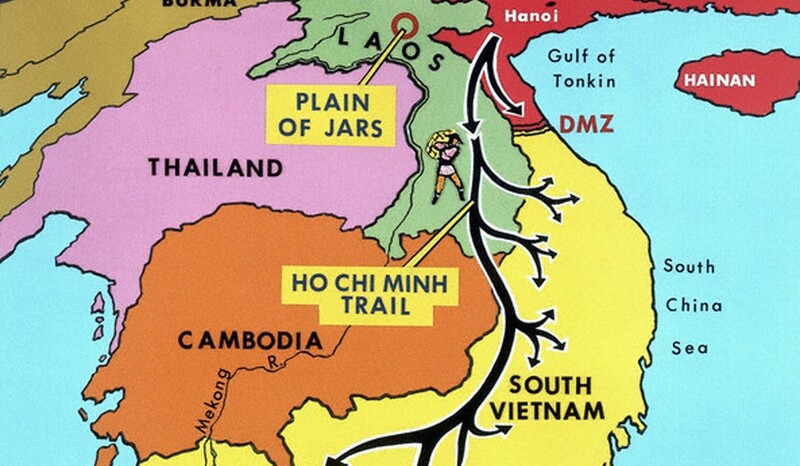 In 1966 and 1967, as the war became more fiercely, the role of Ho Chi Minh trail became more and more important. Supplies were now generally transported by trucks moved from station to station at nights. During daylight, trucks were hidden and camouflaged. At vulnerable points between stations, PAVN’s personnel were positioned to repair and maintain the trail and trucks. Refuelling facilities were located at every third to fifth station. This system was capable to guarantee the continuation throughout the trail. The increasing supplies transferred to South Vietnam obviously made U.S. planners think of conducting a major effort to cut off the supply route. In September 1966, Robert McNamara, Secretary of Defense, wrote to President Johnson describing Ho Chi Minh trail as “one of our most serious unsolved problems”. Beginning with Operation Leaping Lena in 1964, Operation Prairie Fire in 1965, and ended with Operation Shining Brass in 1996, many attempts to disrupt the flow of supplies by using small ground unit were proved ineffective. In 1964 and 1965, aerial bombardments of the trail were also conducted as part of Operation Barrel Roll and Operation Rolling Thunder. Nonetheless, those bombings could not slow down the rate of infiltration. After President Johnson announced to suspend the bombings in North Vietnam, American bombardment began to turn focus on interdiction. On 15 November 1968, Operation Commando Hunt was conducted as a massive effort to prevent the transit of PAVN personnel and supplies on the Ho Chi Minh Trail. Over the next five years, more than 3 million tons of bombs were drop on Laos. Commando Hunt’s main targets were the trucks traffic along the trail. In 1969, 9,012 trucks was destroyed according to the U.S. Air Force, the number grew to 12,368 in the following year. However, at the same time, the CIA estimated the total number of trucks in all of North Vietnam was only 6000. To protect the continuation of the trail, North Vietnamese increased the number of anti-aircraft artillery, 85mm and 100mm guns were deployed to defend the system. By the end of Operation Commando Hunt, the number of AAA guns along the trail increased to 1500. By late 1970, despite of heavy bombardments, 8,000 men and 10,000 tons of war material continued to move southward monthly. In the end, none of U.S. effort to sever the trail was successful. This meant the war could unlikely be won. In 1971 and 1972, Operation Lam Son 719 and Operation Commando Hunt VII ended as failures. After the Paris Peace Accords was signed in early 1973, interdiction efforts significantly declined and the trail was extensively improved. By 1973, it became a two-lane highway that ran from the mountain passes of North Vietnam to the Chu Pong Massif in South Vietnam. By 1974, the trail was a four-lane wide route and also boasted four oil pipelines. From 1965 to 1975, Hanoi moved about 1.8 million tons of supplies down the trail. 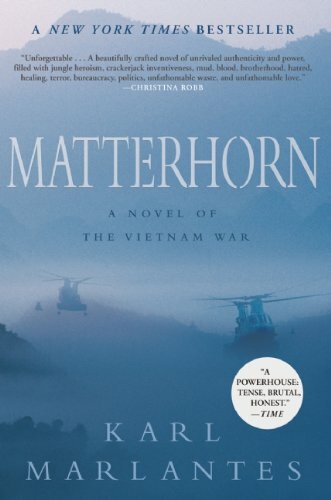 They had won the battle of supply in which the Ho Chi Minh trail had played the vital role.